Salaam beautiful peoples, Today we share Creating a Hidden Service via Tor for Beginners & for more latest articles follow us. Creating a website is pretty simple. 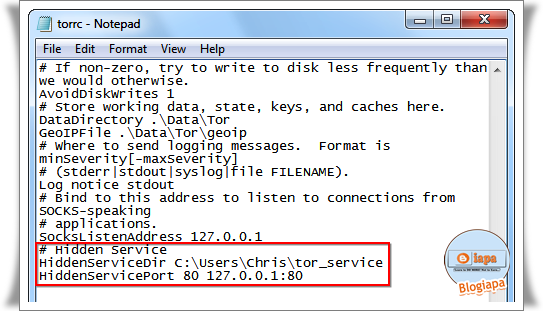 Creating a hidden service via Tor isn’t much different. In fact, if you have any semblance of what you’re doing, it might even be easier. The biggest thing > the most important step is downloading Tor "obviously". You can’t do anything without the browser. After installation, you’ll need to install and configure a web server. Tor has recommended both Apache web server and Savant web server on different occasions. They have also recommended thttpd Web server. Ironically, they have also noted that (Savant probably has these problems too). Whatever hidden service you’re attempting to operate, the configuration is extremely significant. Always double check your settings and make sure your information "such as your IP address" is completely locked up. Despite the stigma behind hidden services, they do have some good use. For whatever reason, if you end up exploring your own hidden service and you intend to share it with others, make sure you know what you’re doing. and for more latest news & hacking articles subscribe us, thanks. Content provided as news under section 107 of the Copyright Act of 1976: Allowance is made for "fair use" for purposes such as Criticism, Comment, Cews Reposting, Teaching, Scholarship, Education and Research.